A new second will be added on June 30, at 23:59:60 GMT. It is called as the leap second. On a normal day, the clock moves from 23:59:59 to 00:00:00 the next day. But on June 30, the one minute will have 61 seconds, and the clock will move from 23:59:59 to 23:59:60 before it reaches 00:00:000 on July 1. 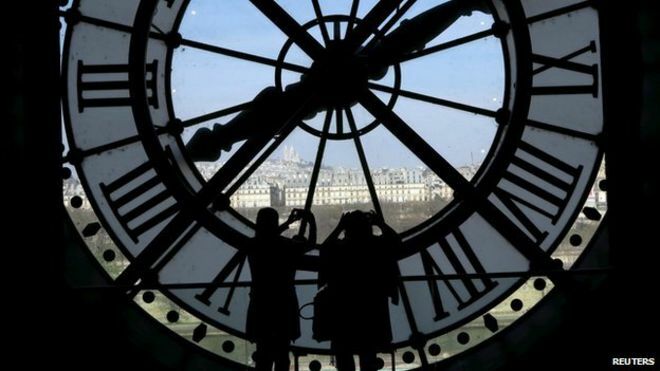 Why need a leap second? Earth’s rotation is gradually slowing down a bit, so leap seconds are a way to account for that. The rotation is slowing down thanks to a kind of braking force caused by the gravitational tug of war among Earth, the sun and the moon. Due to the slowdown, earth is taking roughly 86,400.002 seconds to rotate around its axis(the average length of a day/ A mean solar day), rather than 86,400 seconds (which is 24 hours * 60 minutes * 60 seconds). Because of this a mean solar day likely hasn’t lasted 86,400 seconds since about 1820. Recognizing the problems being created by adding a leap second so frequently, alternatives have been proposed to provide accurate time. The International Telecommunication Union, an agency of the United Nations that addresses issues in information and communication technologies, will discuss the proposals and decide the issue.